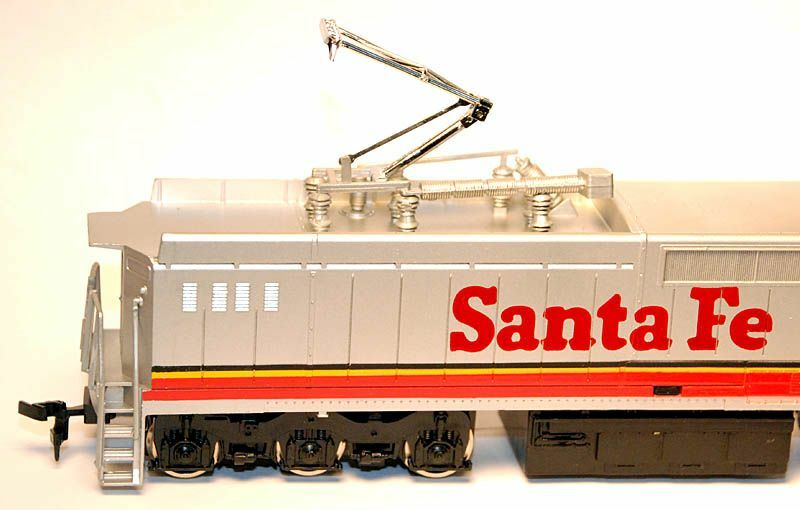 Bachmann introduces two electric locomotives to the HO-scale line in 1978. One of them, the dual-ended E60CP would enjoy a long run and even recently returned in an updated form, the other was not so fortunate. The E60CF was offered by Bachmann in two roadnames only, Chessie System and Santa Fe, neither of which ever rostered such a locomotive. General Electric built only a half dozen E60CF models beginning in 1972 and they went exclusively to Black Mesa & Lake Powell. The 1978 retail is listed at $20; $22 in 1979 and $24 in its final cataloged year 1980. 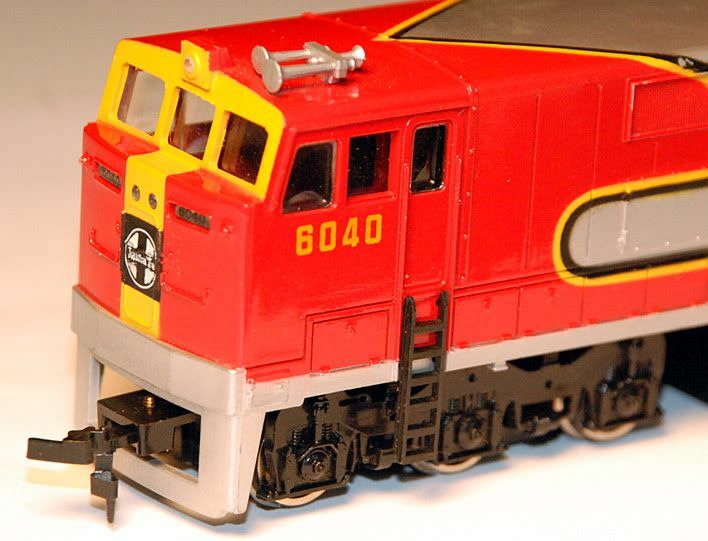 The Chessie System E60CF is the only one of the pair to be illustrated by Bachmann in an annual product catalog. The 1978 image appears to be a pre-production example, which seems to greatly favor the American GK tooling. This same illustrated returns in '79, but 1980's catalog does include an actual Bachmann production run example of the Chessie System E60CF. A number of railroads in North America studying and considered some electrification projects in the 1970s. The Burlington Northern, according to the 1975-76 BN Annual, evaluated electric service in Nebraska and Wyoming. An artist illustration in the 1975-76 BN Annual features an E60CF dressed in Cascade Green. Pictured are the Bachmann Chessie System E60CF with the American GK Burlington Northern E60CF model. Note the differences in the tooling in the cab windows and roofline, among other features. The Bachmann example is accurate to the General Electric 1972-built E60CF. My research suggests the American GK, shown here in BN dress, would have matched a revised or second phase E60CF planned, but never constructed by GE. 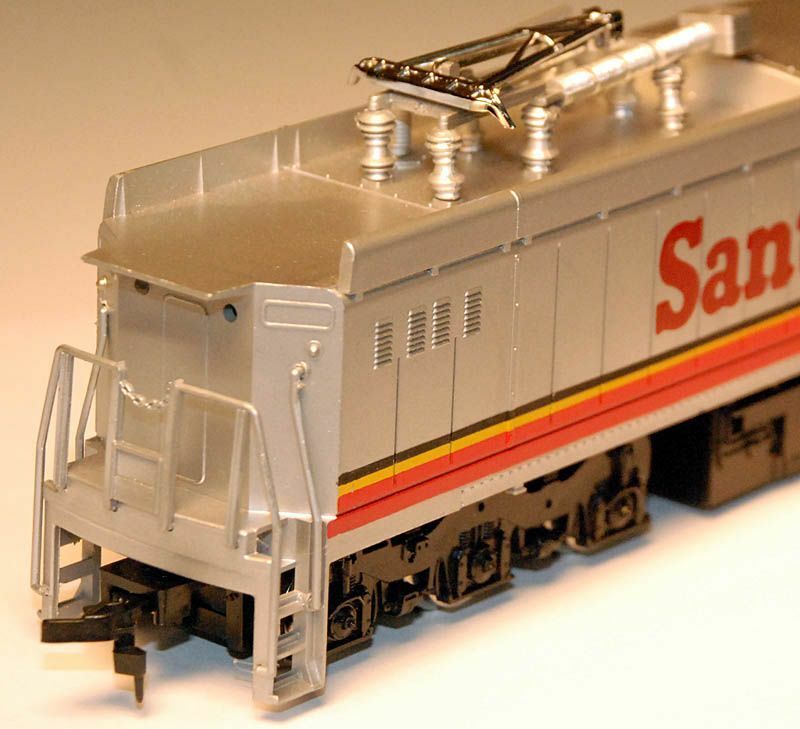 The American GK models were made by Athearn and rode on Athearn's SD9 frame. The American GK toolings were obtained by Walthers. Plans for the E60CF may be found in the April 1973 issue of Railroad Model Craftsman magazine. The Bachmann example was a fairly well done attempt at this prototype and included a separately applied pantograph. The hardware on the roof was made of separate plastic and metal castings. The E60CF rode on a pair of General Steel Industries style C-trucks. The truck sideframe tooling is unique in the Bachmann line to the E60 electric offerings, one truck was powered with traction tires as was the practice by Bachmann at this time. Handrails were cast on the nose and cab area of the E60CF shell, however the end railings were separately applied. Two rear lights featured clear inserts, though the model did not include a reverse light. The cab windows, numberboards and headlights on the front were a single clear insert. The Bachmann E60CF featured open front and rear pilots to allow for operation of the truck mounted couplers in navigating curves down to 18-inch radius. The cab steps were an interesting and unique example in 1970s Bachmann tooling found on both the E60CF and E60CP. The steps were made of a flexible plastic and separately applied to the shell. As a fellow model train historian friend of mine, Tony Lucio, pointed out the flexible step would have enabled the them to survive handling and play better than the typical cast as part of the shell design normally found on such a model.